While Capetonians rejoice in our current sky juice blessings, the past few years’ crippling drought certainly taught us some tough and timely lessons. We’ve had to learn just how fragile and precarious our water sources really are, and we need to plan for the future. Suuure we may think we know where our water comes from and suuure we think we know how to save it. But do we ever give a thought for what goes into our water? ‘Pah, someone else’s job to keep our water clean, we pay rates and taxes,’ goes the grumble. Actually, no, it’s not. It’s OUR job: each and every single individual one of us has that task – to protect our water sources as if our lives depended upon it. Because, it does. It’s common knowledge that most household cleaning materials contain harsh and harmful chemicals that break down into toxic compounds which filter into our underground water system, and not all of these toxins can be adequately purified. These chemicals and toxins are also found in a vast array of cosmetics -including, most likely, your #1 choice of bath, skin and and beauty treatments. If you don’t believe me, Dina, check your labels the next time you buy! These toxic chemicals eventually end up in our oceans and other water supplies like underground aquifers, with devastating effect. The slow toxic build-up has horrible consquences for marine life, our own health, and the well-being of the environment, and we’re already living with the ugly fall-out. Not a future to look forward to, is it? So, short of becoming a monk and going to live naked on some faraway island where no-one cares about how much you stink, why not switch to some real eco-friendly bath and beauty products right now, right here? Personally, I detest chemicals in my food, in and on my body, and harsh perfumes give me hives, rashes and itchy skin. For this reason I try hard to source products that are as irritant-free as possible. And when those products are also locally made, with great care and consciousness for the environment, well, then I’m sold. Healing Earth Spa Products recently sent me a box of their newest spa range to try out. Called Healing Ocean Conscious Living, the products are packed in white glass bottles with handy pumps, and can be refilled. The simple elegance and understated design make the range perfect for luxury ocean resorts and seaside homes. The huge bonus is that none of the products contain any ingredients that break down into toxic compounds that are harmful to our water supplies – especially the ocean. 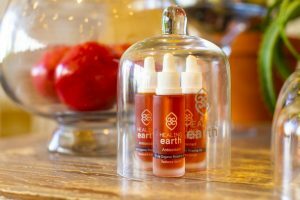 “Developed by leading cosmetic scientists, all Healing Earth ingredients are carefully selected and meticulously researched, ensuring a pure product that connects users to the healing powers of Mother Earth. 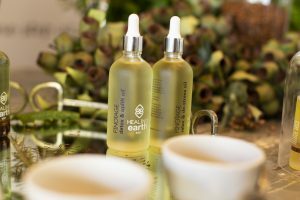 All Healing Earth products are free from synthetic fragrances, colourants, petro chemicals, DEA, preservatives and parabens. So now you can feel good, while doing good! The full Healing Ocean Conscious Living range consists of gorgeous bath crystals, a luxurious moisturising body oil, shampoo, hair conditioner, a 2-in-1 bottle that combines both of the latter, a hand and body soother, ambient room spray that can also be used as a perfumed body spray, shower gel and a beautiful pure organic soy wax candle in the most delightful little glass bowl and dome. Once the soy wax has melted, it can be rubbed onto the skin as a moisturiser. “We’re thrilled to announce the launch of our beautiful new Healing Light fragrant candles. 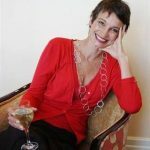 The brainchild and creation of founder Elisabeth Brandt, the premier spa and hotel amenities provider Healing Earth is once again pioneering the field in premium and environmentally responsible bathroom products, this time in the form of the biodegradable, iso-certified, marine-inspired Healing Ocean range. Natural oils like shea butter, grapeseed oil, jojoba oil, calendula, lavender, grapefruit, rosemary, peppermint and neroli oils are used. The perfumes are light, cleansing and refreshing – so you won’t be skunking out the lift at work after using it. 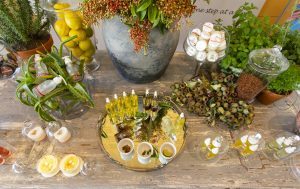 I especially loved the body oil and moisturisers, as it had an almost immediate, soothing effect on my parched and irritated skin. The ambient room/body spray I used liberally on my bedding without causing stains, and also to freshen up the house. The gentle candle lit my bathtime soaks, suffusing the air with the gentlest aroma. 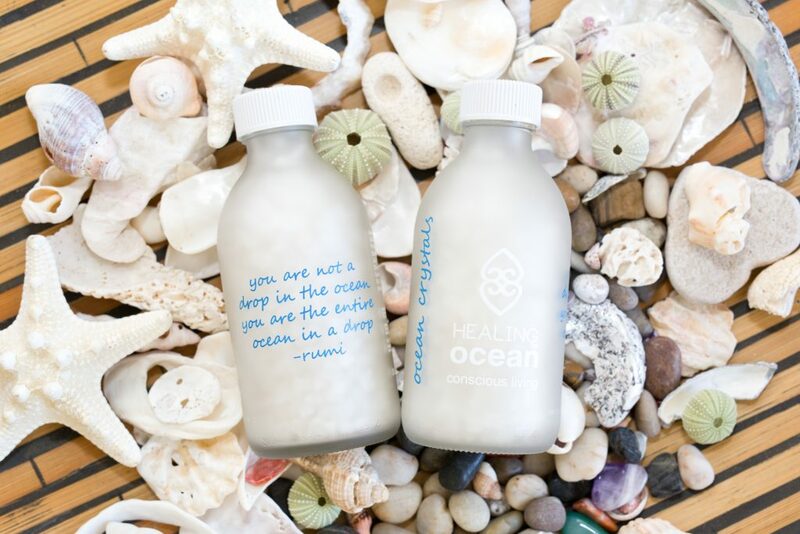 The Healing Ocean range not only reflects the tranquility of the seaside through its fresh and striking white glass packaging, but also extends Healing Earth’s environmentally-responsible ethos from the conservation of the earth to the preservation of the ocean. While the Healing Earth amenities collection remains a cornerstone of the brand’s offering, the Healing Ocean range caters more to seaside or beach-inspired properties. The foaming agent is sodium decyl and lauryl glucoside, which is coconut derived. Paraben alternatives such as dehydroacetic acid are used instead. 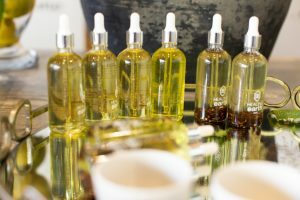 The inspirational blend of African plants and oils creates the perfect synergy to treat both the skin and hair.Our unique, green, Afro-inspired lifestyle and in-room hotel amenities are one of a kind. They are all manufactured in eco-friendly, biodegradable containers with 100% natural ingredients. 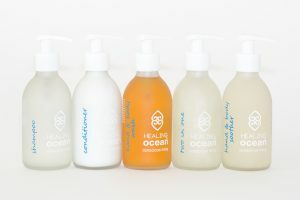 Lemon verbena and argan oil are used to create an uplifting aromatic scent that revitalises the senses and nourishes and hydrates the skin and hair while providing anti-oxidant protection.In addition to our cornerstone Healing Earth amenities range, we also offer the exciting marine-inspired Healing Ocean range. This collection not only reflects the tranquility of the seaside through its fresh and striking white glass packaging, but also extends our environmentally-responsible ethos from the conservation of the earth to the preservation of the ocean. The premium products are the perfect addition to five-star seaside or beach-inspired properties. 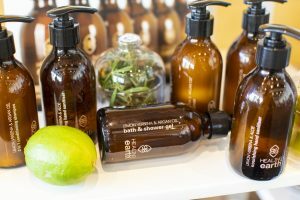 The lifestyle and in-room amenity products are available for personal and home use, or for luxury hotel in-room amenities. They also stock a wide variety of gift and turndown items, as well as a unique and innovative Beauties & Buddies children’s amenities which, in line with their objective of raising environmental conservation and holistic health awareness amongst personal care consumers, have been developed especially for eco-conscious kids.